Achintya-Bheda-Abheda (अचिन्त्यभेदाभेद, acintyabhedābheda in IAST) is a school of Vedanta representing the philosophy of inconceivable one-ness and difference. 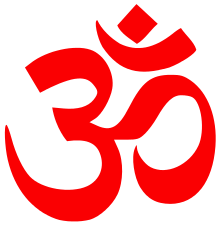 In Sanskrit achintya means 'inconceivable', bheda translates as 'difference', and abheda translates as 'non-difference'. The Gaudiya Vaishnava religious tradition employs the term in relation to the relationship of creation and creator (Krishna, Svayam Bhagavan), between God and his energies. It is believed that this philosophy was taught by the movement's theological founder Chaitanya Mahaprabhu(1486 - 1534) and differentiates the Gaudiya tradition from the other Vaishnava Sampradayas. It can be understood as an integration of the strict dualist (dvaita) theology of Madhvacharya and the qualified monism (vishishtadvaita) of Ramanuja, rejecting the absolute non-dualism (advaita) of Adi Shankara which contradicts Vyāsadeva's siddhānta. It is clearly distinguished from the concept of anirvacaniya (inexpressible) of Advaita Vedanta. There is a clear difference between the two concepts as the two ideas arise for different reasons. 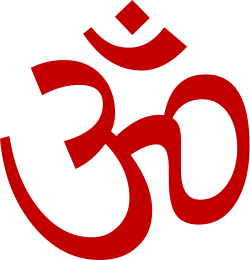 Advaita concept is related to the ontological status of the world, whereas both Svayam bhagavan and his shaktis (in Lord himself and his powers) are fully real, and they are different from each other, but at the same time they are the same. But that does not negate the reality of both. Mayavadi concept is a direct opposite and a contradicting concept to an early Krishna-theism. ↑ "Additional information". 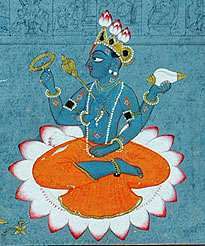 Krishna.com. Archived from the original on 7 June 2002. Retrieved April 16, 2008. "Lord Chaitanya taught that as spirit souls we are part of God and thus we are not different with Him in quality, and yet at the same time we are also different from Him in quantity. This is called acintya-bheda-abheda-tattva, inconceivable, simultaneous oneness and difference." ↑ Satsvarupa, dasa Goswami (1976). "Readings in Vedit Literature: The Tradition Speaks for Itself": 240 pages. ISBN 0-912776-88-9. ↑ "Additional information". Tatfoundation. Archived from the original on 12 May 2008. Retrieved April 16, 2008. "This interpretation of the Upanishads, that the individual soul and God are absolutely non-different, is what distinguishes advaita from other forms of Vedanta." ↑ "Additional information". dvaita.org. Archived from the original on 12 April 2008. Retrieved April 16, 2008. "Dvaita,... asserts that the difference between the individual soul or Jiva, and the Creator, or Ishvara, is eternal and real"
↑ Prabhupada, A.C.Bhaktivedanta Swami (1988). Srimad Bhagavatam. Bhaktivedanta Book Trust. Bhag. 4.31.16 Archived 26 September 2007 at the Wayback Machine. "One may be in the sunshine, but he is not on the sun itself." ↑ Kaviraja, K.G. Sri Caitanya-caritamrita. Bengali text, translation, and commentary by AC Bhaktivedanta Swami Prabhupada. Bhaktivedanta Book Trust. Madhya 6.163 "Qualitatively the living entity and the Supreme Lord are one, but in quantity they are different"
↑ S. Devadas Pillai, ed. (1997). Indian Sociology Through Ghurye: A Dictionary. Columbia, Mo: South Asia Books. p. 403. ISBN 81-7154-807-5.